Doorways of Wyoming is a division of Colorado Doorways, Inc., a company with a long and distinguished history in the industry. Our dedication to the Wyoming marketplace is shown with Doorways of Wyoming and our office, warehouse and shop in Cheyenne. We recognize that our customers in the Cowboy State deserve ready access to professionals to help them with their projects and Doorways accomplishes that with a team dedicated to aiding them. We will use our decades-long, proven track record to the benefit of our customers and employees. Our expertise is unmatched and we will ensure it remains that way. Doorways believes in placing quality above all. We will ensure our customers receive the products and services they need and that they are of the highest quality workmanship and accuracy. In all our dealings with customers, suppliers and employees, we will foster ethical and honest relationships. Trust is the foundation of any bond and we will ensure that is maintained. Customers, employees and suppliers depend on us and we will thrive to not only meet but to exceed all expectations. They will know that they can count on us. We have grown through initiative and dedication to our employees, manufacturers, and most importantly our customers. We will continue to adapt and innovate to the benefit of each. Doorways is dedicated to the proposition that our success is directly tied to that of others and we will do everything in our power to propel all toward excellence. We now employ over 170 hard-working, dedicated employees. Each and every one of them is a valuable member of our team. Our dedication to the happiness and well-being of our employees is shown in our latest expansion that includes a full-featured workout room and a new recreation and gathering area. The workout room features a host of commercial exercise equipment from a rowing machine and stair machines to Peloton bikes and a weight training gym. We are not all work however and the new recreation area features billiards, shuffleboard, video games and more to help employees wind down and relax. Doorway Solutions®, our end user sales and service division, continues to see unprecedented growth. To accommodate this and better serve our customers, we expand our office area providing them with an larger, dedicated office area. Doorways implements the next major innovation in the industry with our Shop Applied Hardware Department. Customers now have the option of receiving their door with the hardware already installed when delivered. This greatly reduces the cost of hanging doors for the customer and allows the installation to be done much faster. 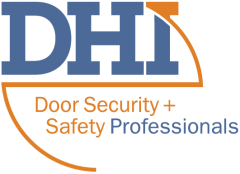 While Doorways has always worked to ensure our employees had the most up-to-date knowledge and certifications of any door and hardware supplier, we take this to the next level by implementing a formal training program under a Director of Education. This program has the immediate benefit of increasing employee knowledge, improving customer service and increases internal advancement opportunities. We’re on the move! Our tremendous growth shows no signs of ending so we find a new home at the Colorado Trade Center at 5151 Bannock. This historic building is massive and following a major renovation, we take over and nearly triple the square footage of our previous facility. Doorways acquires the door and hardware business of Powers Products. This allows us to bring on board some of the most knowledgeable experts in the region including those in an office in Cheyenne, Wyoming. Doorways formally launches its Doorways of Wyoming division. With sales and service personnel located in Cheyenne, it allows us to better serve customers in the northern plains and Rocky Mountain regions. 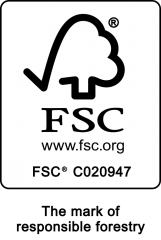 We become the first door distributor in Colorado to meet the rigorous requirements and become Forest Stewardship Council® (FSC®) Certified. Doorways was then and remains today committed to sustainable solutions. Doorways purchases and expands onto an adjacent property doubling our footprint. The expansion provides for the establishment of a state of the art Lock Shop and houses a dedicated sales team for end users. Our Doorway Solutions® division is formed. These experts work exclusively with end user and wholesale customers. This market requires a different level of expertise and service capability and Doorway Solutions® was created with that in mind. Colorado Doorways grows to have 100 employees. Colorado Doorways acquires S&L Lock & Key allowing it to expand into locksmithing and gaining Certified Master Locksmiths and other key personnel. Colorado Doorways acquires Johnson Hardware bringing on board some of the most knowledgeable and experienced industry experts. Doorways moves to a new, much larger facility at 52nd and Vasquez. This gives us the room to grow and provides the immediate benefit of giving us greater capacity in our wood door and hollow metal shops. We are busting at the seams and accommodate additional growth by purchasing an adjacent building. This allows us to add to our warehouse and provide much-needed additional office space. Doorways acquires Commercial Specialties and brings on board its key personnel to aid in helping us continue to grow. In only five years, Doorways has more than doubled in size. Steady and deliberate growth brings us to 18 employees. We undertake our first expansion to increase our wood door shop capacity allowing us to better serve our customers. Colorado Doorways is acquired by its current owner setting off a period of more than 30 years of unprecedented growth and innovation. At that time, we had 10 employees. We firmly believe that employees are our number one resource and the primary contributing factor to our success. Doorways operates with a ‘people first’ attitude that provides for an extraordinary work environment. Doorways is proud to be a sought-after employer known for stimulating career and development opportunities. One of the nation’s leading distributors of these top brands. Doorways is a proud member of these industry leading organizations. 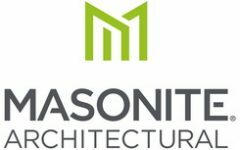 Member of the Door & Hardware Institute featuring six Architectural Hardware Consultants. 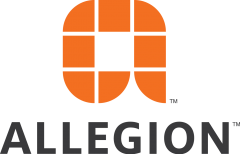 A diamond level contributor to and scholarship sponsor of the Door Security & Safety Foundation. Proud member of the Associated General Contractors of Colorado.